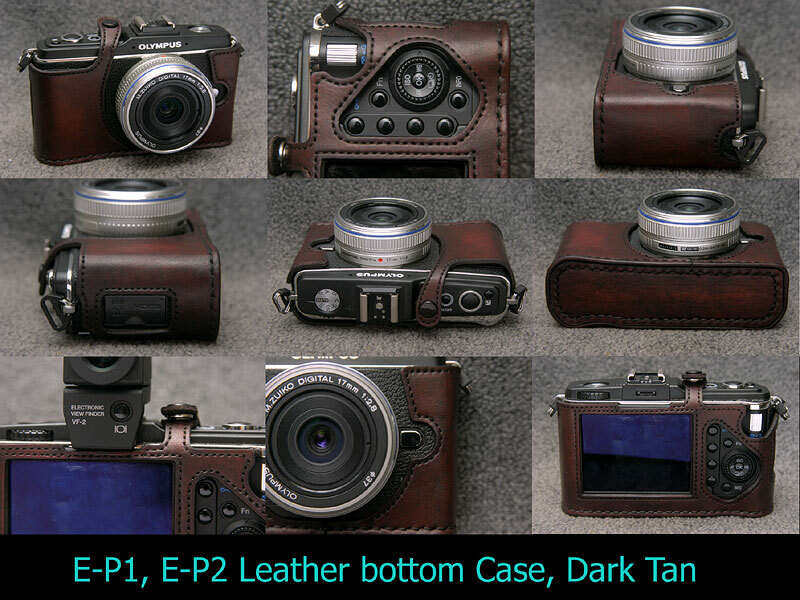 Aki-Asahi's New version E-P1/E-P2 cases. 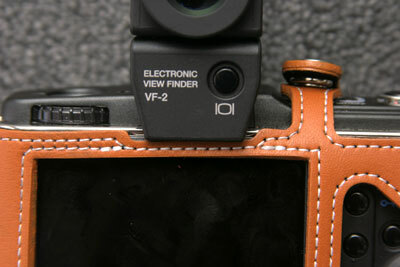 Now it is suitable for E-P2 + VF-2 viewfinder. 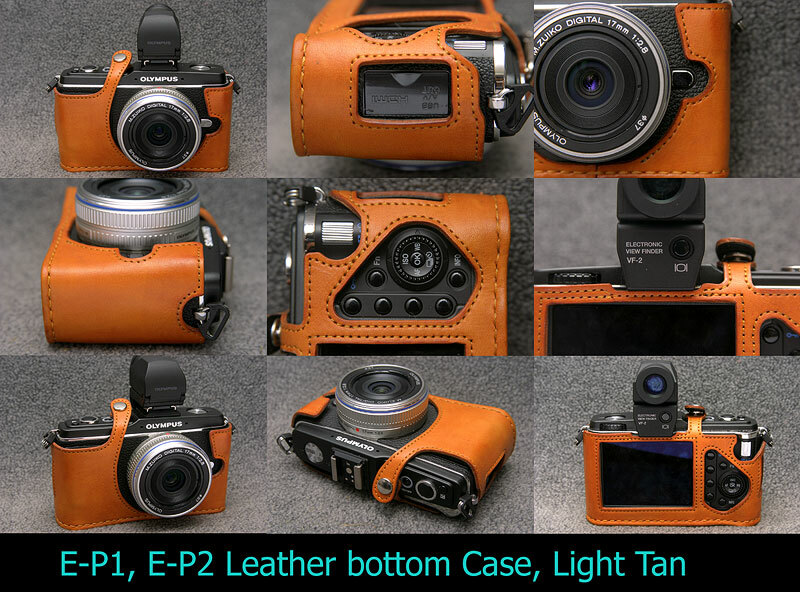 We have 2 kinds of E-P1/E-P2 leather cases. 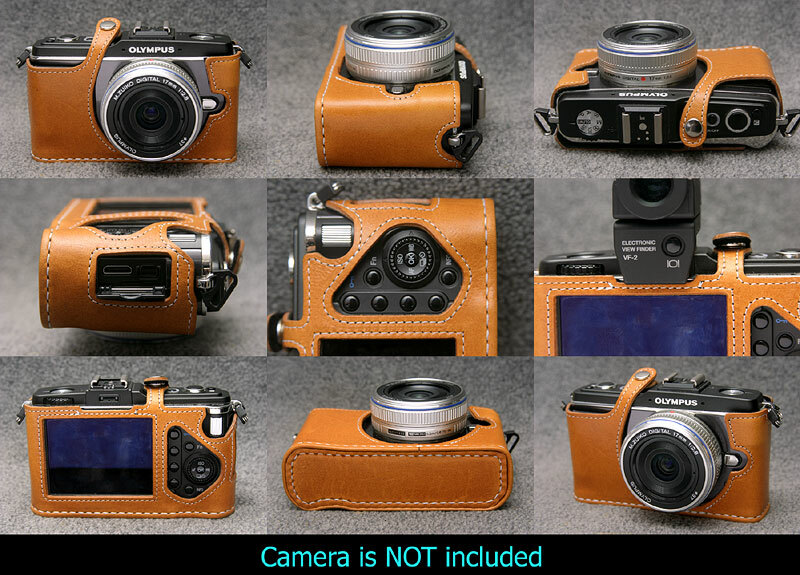 "Hand dyed case"($118 USD) and "Color Leather case"($108 USD). 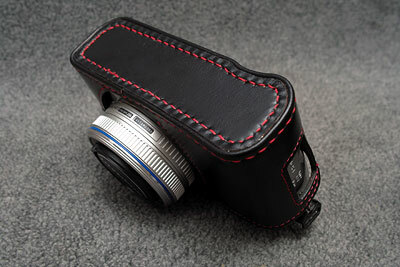 It is made to order case, allow us 1 week to 2 weeks handling time. Dark Tan / Light Tan, 2 kinds are available. Dyed by aki-asahi, on the high quality craft leather (100% vegitable tanned leather), antique appearance. Pig suede inner covers E-P1/E-P2 softly. Click above image for larger sized photos. Other sample photos, please click here to see. You could choose stitch color form White, Black, Red, Yellow, Green, Dark Brown Light Blue. 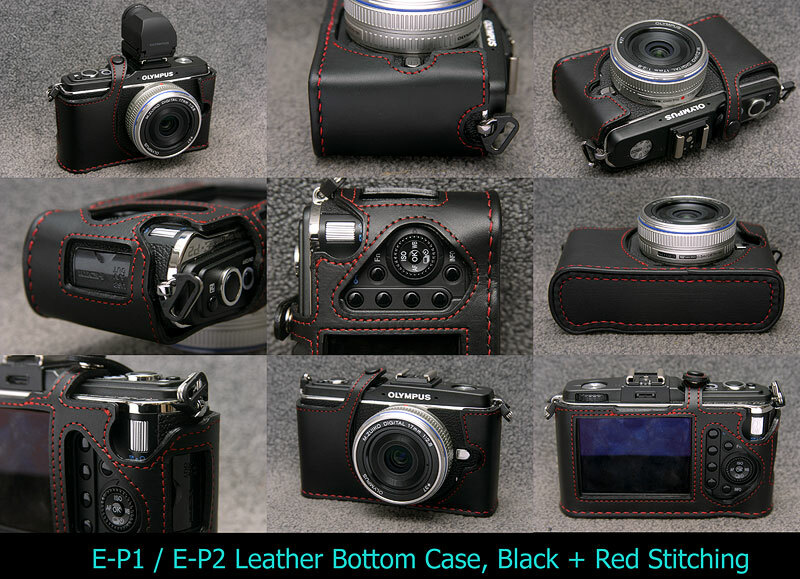 Black Pig Suede inner skin covers E-P1 softly, never hurt or scratch E-P1 surface. 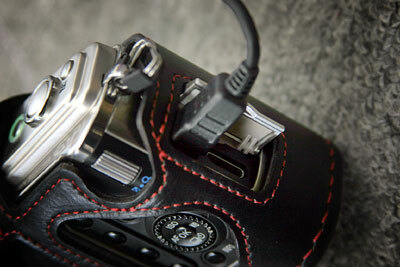 It has USB opening and you could connect USB line with wearing case. 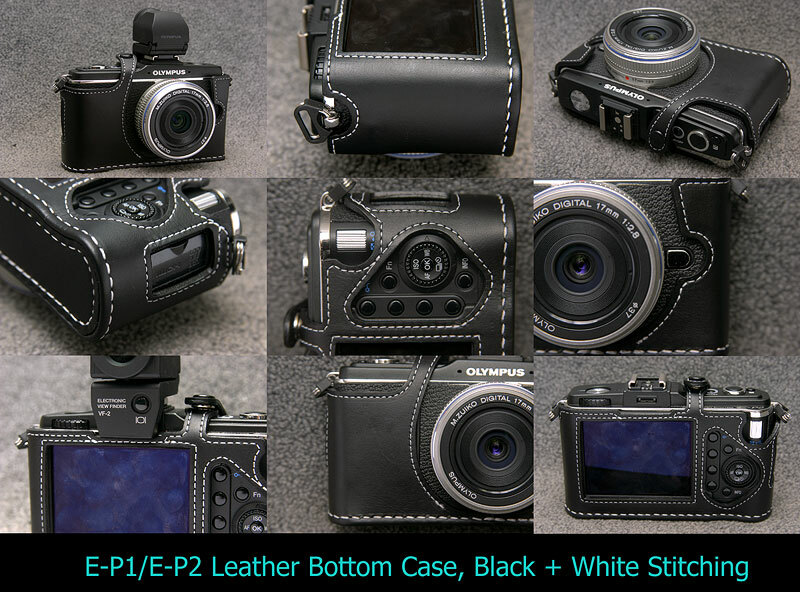 It does not have Battery & Memory card door opening, you need unwear the case when you replace battery and memory card. It does not have Tripod Socket hole, either. 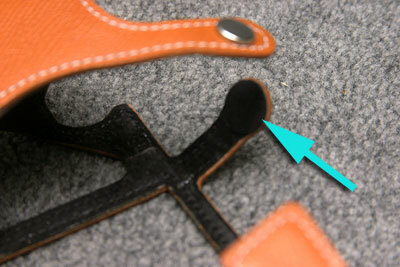 Since the Bottom thickness is 6mm, tripod screw is too short, never reach to the camera body. We use 6 pcs of Rule Dies to make this case. 4 of them were bent by ourselves. Beautiful Stitching lines, with sewing machine and hand sewing. 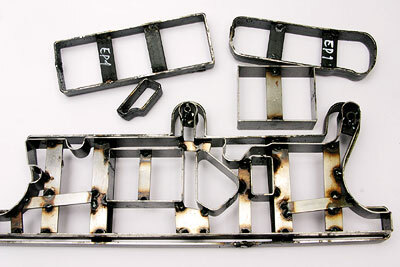 You could attach VF-2 with this case. 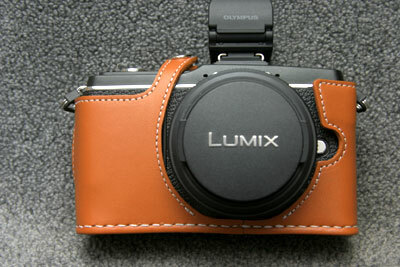 You could attach bigger lens like Lumix GF-1 Lens. Please use mink oil or relative leathere care products sometimes (not often). Silver and Black, 3 kinds of Snaps are available.